Kotobukiya's lineup of Bishoujo statues based on Marvel Comics Super Heroes and Villians continues with SPIDER-WOMAN! Display either masked or unmasked with the included optional face sculpt. Spider-Woman (Jessica Drew) is a fictional character, a superheroine in comic books published by Marvel Comics. The character first appeared in Marvel Spotlight #32 (cover-dated Feb. 1977). Our figure is based on an illustration made by Japanese illustrator Shunya Yamashita, a Spider Woman like you never saw before, a subtle mixing of American and Japanese style that makes her looks better than ever in her most popular outfit. Crouched in her iconic pose, her hair flowing in the breeze, the beautifully sculpted Spider-Woman is prepared to leap into action at any moment! 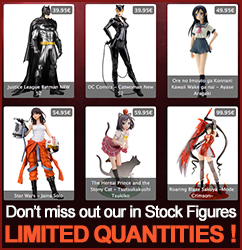 Display Spider-Woman alone or alongside other Marvel Comics bishoujo statues!